Permanent TSB (PTSB) has lost an appeal against a Personal Insolvency Arrangement (PIA) which was confirmed in the Circuit Court in 2017. PTSB had voted against the terms of the PIA, in which the Personal Insolvency Practitioner proposed that the mortgage debt be written down, and the remaining balance be treated as unsecured debt written off at the end of the PIA. Affirming the order of the Circuit Court, Mr Justice Denis McDonald said that PTSB’s counterproposal was not appropriate in the circumstances and that the PIA was fair and equitable to each class of creditor. In September 2005, Lisa Parkin and her (now estranged) husband bought a house in Dublin, with the benefit of a bank loan. Ms Parkin fell into financial difficulty in 2007 as a result of Mr Parkin’s gambling addiction and associated borrowing from ‘loan sharks’. In the meantime, the value the family home fell significantly – the current debt to PTSB being €333,785 and the value of the home dropping to €160,000. The Court heard that Ms Parker’s now estranged husband moved to the UK in 2015, and that Ms Parker has raised her 15-year-old daughter without any contribution to the household from Mr Parker. In November 2016, in accordance with the requirements of the Personal Insolvency Acts 2012 – 2015, the practitioner formulated proposals for a Personal Insolvency Arrangement (PIA) which were considered by Ms. Parkin’s creditors at a meeting of creditors. Under the proposals, the secured debt on foot of the mortgage granted to PTSB would be written down to €160,000 – the agreed market value of the principal private residence. The balance of €173,785.39 would be treated as unsecured debt. At the end of the PIA, the balance of the unsecured element of the debt would be written off. The creditors’ meeting was attended by PTSB and the Credit Union. PTSB, with 98.9 per cent of the total debt, voted against the proposal; whereas the Credit Union, with 1.1 per cent of the total debt, voted in favour. An application was made to the Circuit Court by the practitioner under s. 115A(9) seeking an order confirming the coming into effect of the proposed PIA notwithstanding that it had been rejected in the manner outlined above. For the purposes of satisfying the requirements of s. 115A(9)(g), the practitioner argued that the Credit Union comprised a separate class of creditor from PTSB. For this purpose, s. 115A(17)(a)(i) enables a court to consider a single creditor as a separate class. It was not appropriate for the court to approve the arrangement in circumstances where an alternative had been put forward by PTSB which it said was “fairer and /or more appropriate”. PTSB’s counterproposal that would have split the mortgage debt into two parts: a live balance of €236,000 which would continue to accrue interest at 3.25 per cent per annum, and the “warehousing” of the balance of €97,785. In breach of s. 115A(9)(b)(ii), the PIA would not enable creditors (and in particular PTSB) to recover debts due to them to the extent that the means of the debtor reasonably permit. The debt was a joint debt with Ms Parkin’s husband – therefore to grant the order sought, would be to reduce the debt in respect of which Ms Parkin’s husband was jointly and severally liable in breach s. 115A(9)(b)(ii) of the Personal Insolvency Act 2012. Reliance was also placed on s. 115A(9)(e) and (f) of the Personal Insolvency Act 2012, (as amended). In support of this proposition, the notice stated that PTSB “will rely, in particular, on the fact of the sizeable upfront write-down proposed in the PIA”. In August 2017, Her Honour Judge Susan Ryan rejected the grounds of objection and expressed the view that the proposed PIA did not unfairly prejudice PTSB. Mr Justice McDonald explained that since that decision, Ms Parkin complied with the terms of the PIA. 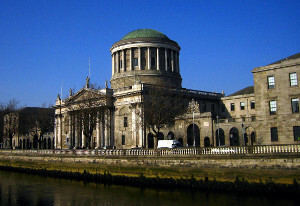 PTSB appealed the Circuit Court decision, and a full rehearing took place before Mr Justice McDonald in December 2018. Firstly, Mr Justice McDonald was satisfied that Judge Ryan was correct to find that, since the debt to the Credit Union was entirely unsecured (in contrast with the composition of both secured and unsecured liabilities due and owing to PTSB), the Credit Union constituted a separate class. In light of that finding, Mr Justice McDonald was satisfied that the provisions of s.115A(9)(g) had been complied with. Considering the warehousing proposal, Mr Justice McDonald did not agree with the practitioner that the judgement of Ms Justice Baker in Jacqueline Hayes  IEHC 657 could be construed as overruling or departing from the ratio of her previous decision in Paula Callaghan  1 IR 335 – in which Ms Justice Baker dismissed an argument that the statutory scheme of the Personal Insolvency Acts 2012 – 2015 precluded warehousing as an element of proposals for a PIA. However, Mr Justice McDonald said that in order to properly evaluate the potential applicability of warehousing, it was necessary to consider detailed evidence on affordability – which he said was the underlying issue. Mr Justice McDonald explained that PTSB’s proposal would mean the warehoused amount of €97,785 would become due following the expiry of the proposed 312 month term – therefore at the age of 71, Ms Parker would either have to be in a position to pay that amount or sell her home. Mr Justice McDonald said that a warehousing solution would only be appropriate where the court can be satisfied of sound evidence available that it is likely to be achieved. He concluded that warehousing would not be appropriate in this particular case, and the practitioner was correct to rule it out.